But soon after my conversion, the evening came for attendance upon the Lodge, and I went. They, of course, were aware that I had become a Christian and the Master called upon me to open the Lodge with prayer. I did so, poured out my heart to the Lord for blessings upon the Lodge. I observed that it created considerable excitement. The evening passed away, and at the close of the Lodge I was asked to pray again. I did so, and retired much depressed in spirit. I soon found that I was completely converted from Freemasonry to Christ, and that I could have no fellowship with any of the proceedings of the Lodge. Its oaths appeared to me to be monstrously profane and barbarous. Without consulting anyone, I finally went to the Lodge and requested my discharge. My mind was made up. Withdraw from them I must — with their consent if I might; without this consent if I must. Of this I said nothing, but somehow it came to be known that I had withdrawn. They therefore planned a Masonic festival and sent a committee to me, requesting me to deliver an oration on that occasion. I quietly declined to do so, informing the committee that I could not conscientiously in any wise, do what would show my approval of the institution, or sympathy with it. However, for the time, and for years afterward I remained silent, and said nothing against Masonry; though I had then so well considered the matter as to regard my Masonic oaths as utterly null and void. But from that time I never allowed myself to be recognized as a Freemason anywhere. This was a few years before the revelations of Freemasonry Captain William Morgan were published. When that book was published, I was asked if it were a true reflection of Freemasonry. I replied that it as so far as I knew anything about it, and that as nearly as I could recollect, it was a verbatim revelation of the first three degrees as I had myself taken them. I frankly acknowledged that that which had been published was a true account of the institution, and a true expose of their oaths, principles and proceedings. After I had considered it more thoroughly, I was more perfectly convinced that I had no right to adhere to the institution, or appear to do so; and that I was bound, whenever the occasion came, to speak my mind freely in regard to it, and to renounce the horrid oaths that I had taken. I found that in taking these oaths I had been grossly deceived and imposed upon. I had been led to suppose that there were some very important secrets to be communicated to me; but in this I found myself entirely disappointed. Indeed I came to the deliberate conclusion that my oaths had been procured by fraud and misrepresentations; that the institution was in no respect what I had been told it was; and as I have had the means of examining it more thoroughly, it has become more and more irresistibly plain to me that Masonry is highly dangerous to the State, and in every way injurious to the Church of Christ. To unduly favor Mason in political action and in business matters. It professes to save men on other conditions than those revealed in the Gospel of Jesus Christ. It refuses all examination, and veils itself under a mantle of oath-bound secrecy. Second, should the question be asked, “What shall be done with the great number of professed Christians who are Freemasons?” I answer, let them have nothing more to do with it. Let it be distinctly pressed upon the consciences that all Masons, above the first two Degrees, have solemnly sworn to conceal each other’s crimes, murders and treason alone excepted; and that all above the sixth Degree have sworn to espouse each other’s cause, and to deliver them from any difficulty, whether right or wrong. Third, if they have taken those Degrees where they have sworn to persecute unto death those who violate their Masonic obligations, let them be asked whether the really intend to do any such thing. Let them be distinctly asked whether they intend to aid and abet the administration and taking of these oaths. 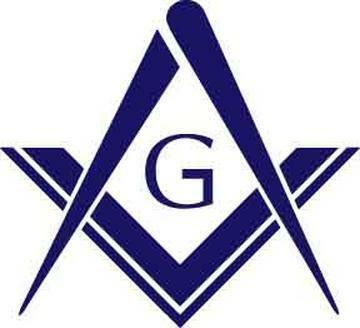 Or if they still intend to countenance the false and hypocritical teachings of Masonry. Of if they mean to countenance the profanity of their ceremonies, and the partiality of their sworn practice. If so, surely they should not be allowed their place in the Christian church. Fourth, can a man who has taken, and still adheres to the Master’s oath to conceal any secret crime of a brother of that Degree, murder and treason excepted, be a safe man with whom to entrust any public office? Can he be trusted as a witness, as a juror, or with any office connected with the administration of peace? Fifth, can a man who has taken, and still adheres to, the oath of the Royal Arch Mason be trusted to public office? He swears to espouse the cause of a companion of this Degree when involved in any difficulty, so far as to extricate him, whether he be right or wrong. He swears to conceal his crimes, MURDER AND TREASON NOT EXCEPTED. Is such a man bound by such an oath to be trusted with office? Ought he to be accepted as a witness or juror when another Freemason is a party in the case? Ought he to be trusted with the office of Judge, or Justice of the Peace, or as a Sheriff, Contable, Marshal or any other office? Ought Freemasons of this stamp be fellowshipped in the Christian Church? Do you believe that the sin of Masonic oaths are forgiven only to those who repent? And that we do not repent of those sins to which we still adhere? And that adherence makes us also partakers of other men’s sins? Copied from a tract published by National Chairman Association — publishers since 1868 of literature exposing secret societies. Be blessed in the Lord Jesus Christ. I am the sitting worshipful master of my lodge and also a Christian. I find this report horribly skewed to a one sided and outright predjudice. Its sad how jealousy and need for attention could inspire someone who claims to be Christian to manipulate truth so others might be mislead. May God have mercy on your soul. Finney’s theology, which denied the Doctrines of Grace, was off base but he was spot on regarding Freemasonry. The lodge is no place for a man claiming salvation in the Lord Jesus Christ, for several reasons: “Whoever, therefore, eats the bread or drinks the cup of the Lord in an unworthy manner will be guilty concerning the body and blood of the Lord. Let a person examine himself, then, and so eat of the bread and drink of the cup. For anyone who eats and drinks without discerning the body eats and drinks judgment on himself” 1 Corinthians 12:27-28; and, “You cannot drink the cup of the Lord and the cup of demons. You cannot partake of the table of the Lord and the table of demons” 1 Corinthians 10:21. Of oaths Jesus says, “But above all, my brethren, do not swear, either by heaven or by earth or by any other oath, but let your “yes” be yes and your “no” be no, so that you may not fall under condemnation” James 5:12. “But I say to you, Do not take an oath at all either by heaven, for it is the throne of God, or by the earth, for it is his footstool, or by Jerusalem, for it is the city of the great King. And do not take an oath by your head, for you cannot make one hair white or black. Let what you say be simply “Yes” or “No”, anything more than that comes from evil Matthew 5:34-37. Ed Decker, previously a Mormon for 20 years, a Temple Mormon of the ‘melchizedek’ priesthood, which is blasphemous for such eternally belongs to Jesus Christ who is a High Priest to Christians “The LORD has sworn and will not change his mind, You are a priest forever after the order of Melchizedek” Psalm 110:4; but, is now reborn out of sin, death and hell through faith in Jesus Christ as Savior and Lord. Ed has been regenerated and is a son and fellow heir with Christ! (James 2:5) Saints Alive In Jesus Christ is a mighty tool in the hand of a Sovereign God to open eyes to the works of darkness, in its diverse forms. Far from being ‘poisoned fruit’, pointing to the tares woven amidst wheat Matt 13:25, 30 and parading as ‘an angel of light’ 2 Cor 11:14, demonstrates love Ed has for those deceived as he once was. As a Christian, Ed is bearing much good fruit, “By this my Father is glorified, that you bear much fruit and so prove to be my disciples” … “This is my commandment, that you love one another as I have loved you” … “You did not choose me, but I chose you and I appointed you that you should go and bear fruit and that your fruit should abide, so that whatever you ask the Father in my name, he may give it to you” John 15:8, 12, 16 FM and LDS share many parallels – which all Masons and Mormons should research – among them are shared handshakes, oaths, garment wearing, etc. A panoramic view of the facts may yet open more eyes. “So if the Son sets free, you will free indeed.” John 8:36 Glory to God in the Highest!